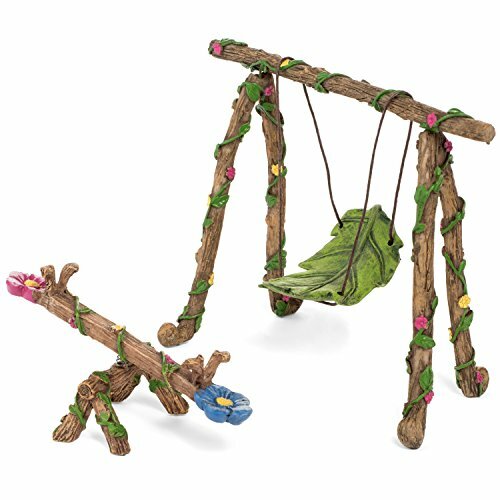 MINIATURE SIZE – The swing set measures 6 x 3 x 4.5 inches and the teeter totter measures 4.5 x 2 x 1 inch. PACKED SECURELY – Instantly enjoy your new collectible addition without hassles and returns due to breakage. 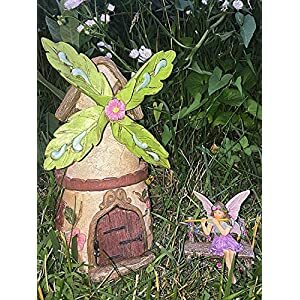 Imagine all the possibilities that your new fairies will bring. 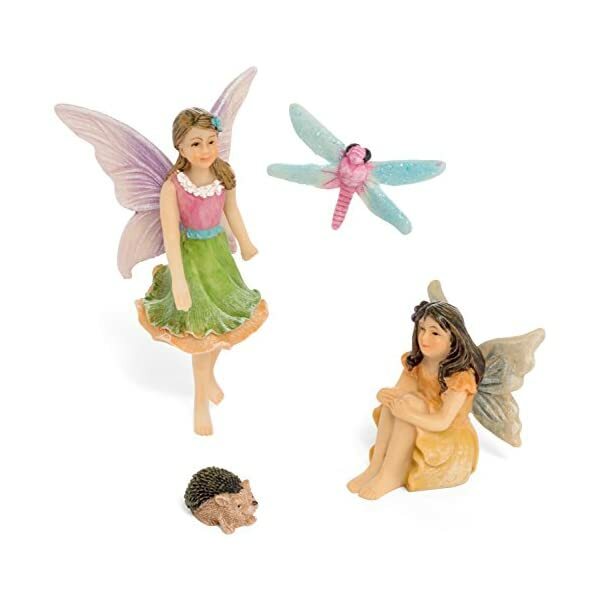 While other fairy garden accessories can arrive broken, chipped or shattered, Patio Eden’s Fairy Garden Kits provide you with comfort knowing we securely pack each piece for secure shipment. 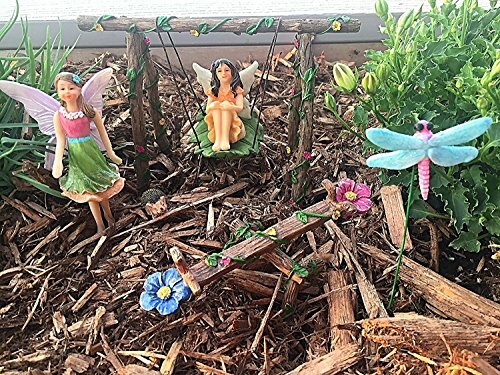 Bring some magic to your backyard patio that everyone will enjoy! 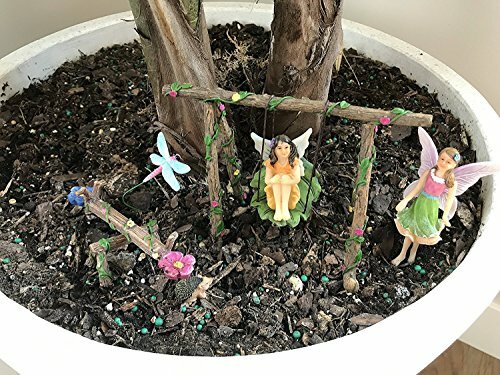 Place in a planter to add some enchantment to your home. 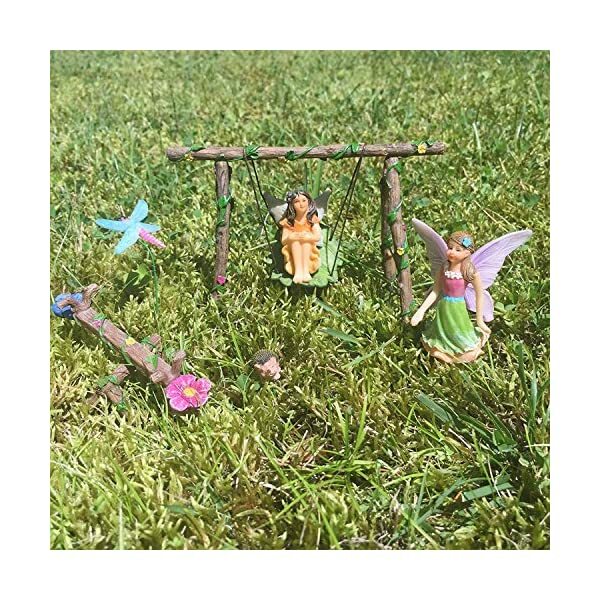 Make memories with a loved one in your garden as you select the perfect location to display this charming fairy set. 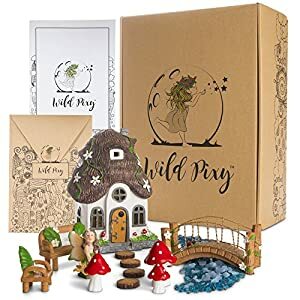 Children and adults both will appreciate the attention to detail with the imaginative features of the house making it the PERFECT gift for any occasion! 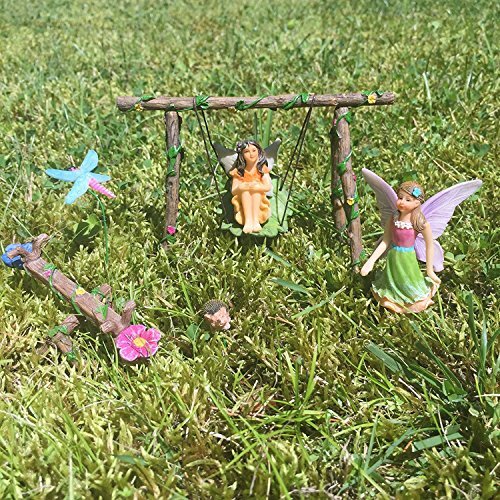 Whether this is your starter miniature kit or you are a fairy garden connoisseur, your new playground fairy friends are just what you needed. 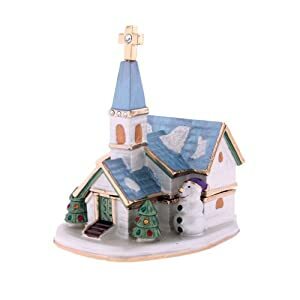 Inside or out, the figurines will decorate any area magically. 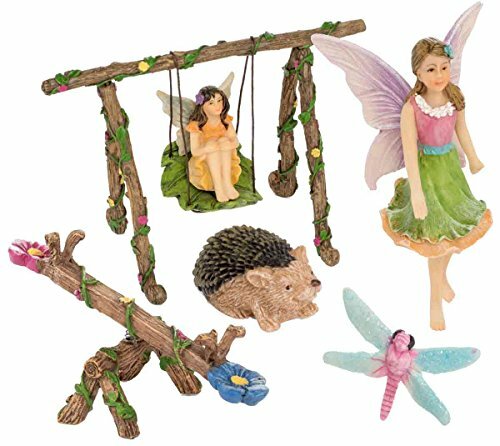 Your friends and family will adore your garden collection of fairies! 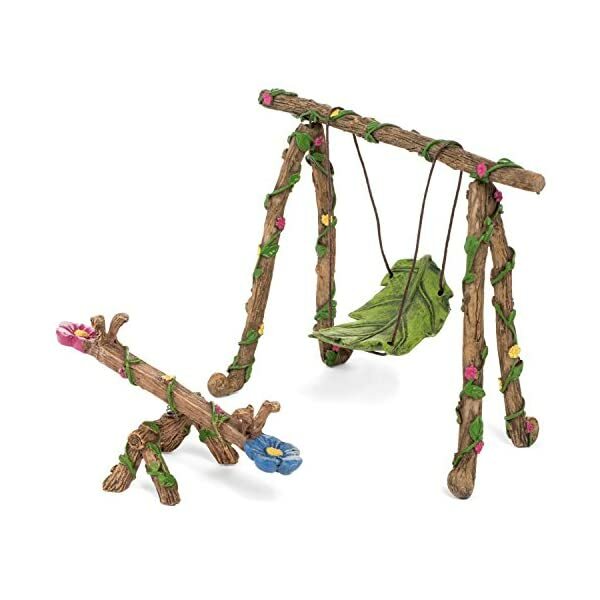 Because of the small size of certain pieces, this kit is not recommended for children under the age of 3. Buy confidently! We offer a “No Questions Asked” 100% Satisfaction Guarantee. If you are not happy for any reason, we will give you a full refund. 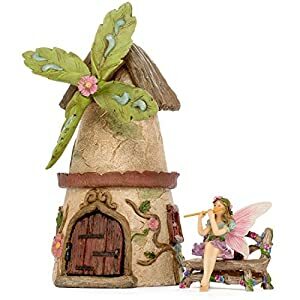 Click “Add To Cart” to order now and start enjoying your magical fairies today! HAND CARVED & PAINTED- Your set is truly one of a kind! 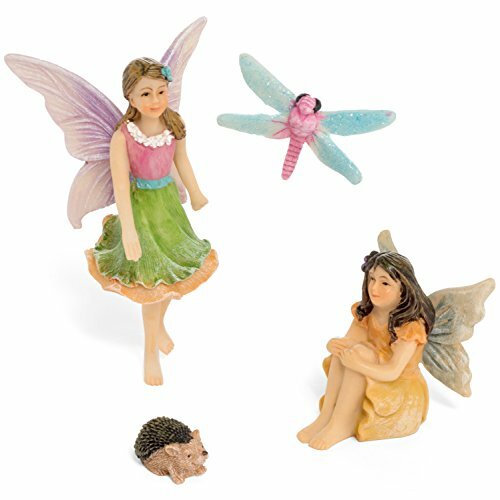 The vibrant colors of the hand painted figurines will stand out in your garden. Painted with UV/weather resistant paint. 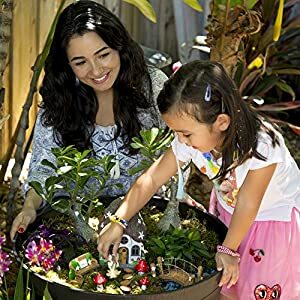 PERFECT GIFT – The adorable decor is a perfect accessory for anyone who has their own fairy garden, terrarium, gnome collection or is just getting started! MONEY BACK GUARANTEE – We are a small, family owned business that promises if you are not 100% satisfied, we will give you a full refund.